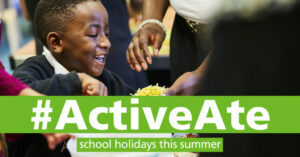 FareShare has launched ActiveAte, a nationwide holiday hunger campaign providing meals for children at risk of food poverty this summer. One in four UK children now live in poverty, of which three million are at risk of going hungry over the school holidays (DCMS and Child Poverty Action Group 2016). With the safety net of free school meals no longer in place, the holidays often intensify poverty among low income families. These families have told FareShare that additional costs for childcare and activities, as well as good food, over school holidays can be a real strain on families – with children in some cases returning to school malnourished, tired and unable to learn. As part of an effort to ease pressure and support vulnerable families, ActiveAte will see FareShare work with over 200 community groups across the UK to provide balanced, nutritious meals for up to 20,000 children and families in the UK. 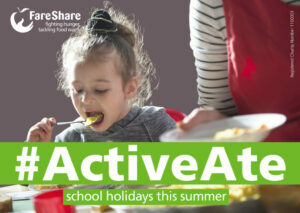 FareShare is supporting projects which will provide free food and activities including sport, to ensure that children keep active and enjoy their summer holidays on a full stomach, ready to return to school in September happy and healthy. If your business can provide food to help FareShare prevent children going hungry this summer, please get in touch with Samantha Lai from the FareShare food team on: Samantha.Lai@fareshare.org.uk or 020 7064 8912. During this time of additional pressure where extra deliveries and increased food deliveries are being made, FareShare is appealing for donations to the campaign via its website. 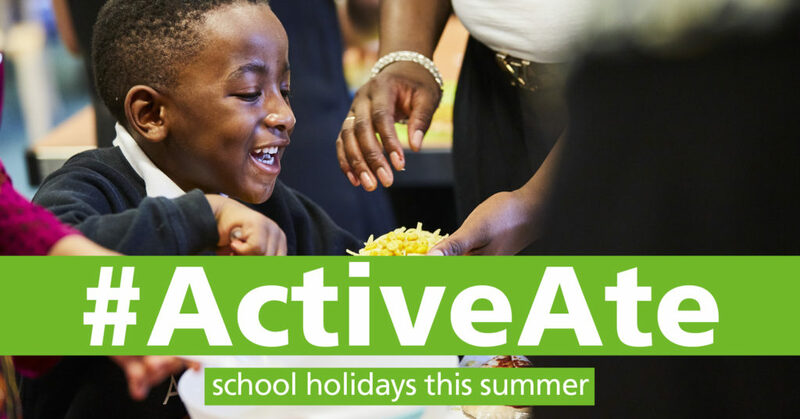 Just £20 can provide 80 meals for children at a holiday project, with all donations playing a key role in keeping children active and healthy this summer. o £7 a month could enable FareShare to provide 28 meals for children at a holiday project. o £12 a month could enable FareShare to provide a lunch for one child on every day of the summer holidays. o £30 a month could enable FareShare to feed a group of 24 children breakfast every weekday morning for a week. o £20 could enable FareShare to provide 80 meals for children at a holiday project. o £60 could enable FareShare to feed a group of 24 children breakfast every weekday morning for two weeks. o £120 could enable FareShare to provide a lunch for ten children on every day of the summer holidays. Read more about the campaign on fareshare.org.uk/ActiveAte.